The Grandchildren of Saint Anne was formed to have everyone adopt Saint Anne as our grandmother. Through this adoption we are sure to obtain many, many graces as she is the mother of the "Mother of All Graces" and through her intercession we are sure to obtain all that we ask for as long as it is in the most loving, merciful will of God. The 3D's Mission is to have the whole world pray a Decade a Day for each other's intentions and that we also all become Children of Mary. thousands of members praying for each other. This is for anyone who wants to unleash the Power of the Rosary in their lives through two important ways. One: by Praying for the Soldiers of the Rosary everyday and their intentions, this unity of prayer will release many graces in your life(Over 1K people now!) Two: by spreading the Rosary everywhere and every way they can think of. To join each member will do his/her best to pray 5 Decades of the Rosary a day, it does not need to be separate Rosary so if you pray the Rosary as a family or in church that will suffice and you will add the Soldiers of the Rosary prayer before or after your Rosary but sometime during the day. ​​I wrote this book to thank Saint Anne for the graces she obtained for me and to inspire everyone to become her grandchildren as she will shower her grandchildren with so many great graces. Go to St. Joseph: Do Whatever He tells you! If you or anyone you know needs help, this is the book! Dolls from heaven are 18 inch Saint Dolls. They come with an outfit based on what the Saint wore during their life. They also come with a book that will inspire children to become saints. Our first Doll is Saint Therese of Lisieux. Our second doll is St. Joan of Arc, the warrior for God. Our third doll is the inspiring and brave St. John Paul II. We hope that our dolls will encourage young children to make Jesus the focus of their lives. Our mission is to “PRAY THEM OUT!” As long as even one soul remains in purgatory that is too many for us. We pray a powerful prayer that is said to release many souls from purgatory every time it is said. All of these souls will become our eternal friends who now that they are RELEASED from these fires shall not forget the ones who “Prayed them out” They will never cease to pray for you in heaven until you join them their. that can only be found in the love of Jesus. Saint Joseph is urging you to have a devotion to him. The Sons and Daughters of Saint Joseph are men and women who seek to deepen their devotion to Saint Joseph through a few simple prayers to him everyday. Also by meditating on his simple, yet powerful life that now continues into eternity. Our Mission is to convert the whole world to the Love of Jesus through the Powerful Devotion to the Holy Face of Jesus. To join the Army of the Face of Jesus is very easy and very powerful! The short prayers only take 3 minutes a day and the promises for those with a Holy Face devotion are not to be missed. The mission of the DMD’s (Divine Mercy for the Dying) is the conversion of the whole world especially those who are Dying. The moment of death is the most critical moment in a person’s life. This is where the final decision of a person is made to either love God forever or not. Our Goal is to give the dying as much grace as possible through our members praying the Chaplet everyday for them and each other. The Best Friends of the Holy Spirit mission is to truly become the Best Friend of the Holy Spirit and to help other's to be as well. It involves praying a small set of prayers in the morning and a special short Prayer whenever inspired to. Anyone who has a devotion to Saint Michael should become one of Saint Michael’s Warriors where we pray powerful prayers to call down the protection of Saint Michael everyday and spread his devotion in anyway we can. Saint Michael is God’s Greatest Angel for he always gave God the Glory and his name means “Who is Like God” and his mission is to defend God’s People. I would like to introduce you to an exciting new men’s prayer group based on the Gospel of Mark’s story of Four Men who brought their paralyzed friend to Jesus for healing. Through their faith they obtained their friends’ healing and the even greater miracle of the forgiveness of his sins. Members of this prayer group seek to continue this by bringing souls to Jesus through prayer and sacrifice. There are no meetings to attend so they are able to fit the five minute a day prayers and sacrifices easily into the very active life of most men nowadays. The Adoption Movement is a work of love and its mission is to help save souls for the Glory of God. It is a simple way to save you and your neighbor’s soul through Jesus Christ. My brothers and sisters saving souls for the Glory of Our Lord and Savior and for love of our neighbor is the most important work we can do in this world. The Apostle James said through the Holy Spirit, “Whoever brings back a sinner will save his soul from death and will cover a multitude of sins.” James 5:20 Through this book, you can also discovered the importance of seeking God first and a way to fulfill the two greatest commandments which are: Love of God and love of neighbor. The House of Divino Nino is the place where you can find the history of the devotion to Divino Nino, a powerful prayer to Divino Nino, and testimonials of His wonderful miracles. Also you can send us your prayer requests. Divino Nino is waiting for you with open arms to help you. Please come to Him. The more you trust in Him the more you will see His remarkable miracles. 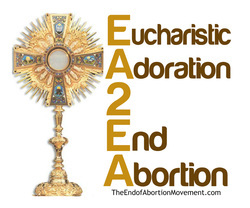 If people spent an hour a week in Eucharistic adoration, abortion would be ended. Want Peace in your Family? Then join the Dolorians where we pray a set of short prayers that take only 2 minutes a day to pray and there are so many promises that they obtain through prayers plus each member prays for each other as well so that union of prayer also obtains even more graces as the weak are upheld by the strong members. Through the graces of these prayers and through spreading the message of the Dolorians may all our members obtain happiness in this life and for eternity afterwards.